Ad Aged: Nobody asked me but....pre-President's Day edition. Nobody asked me but....pre-President's Day edition. Nobody asked me but….is my sporadic homage to the great New York sportswriter Jimmy Cannon. When Cannon faced writer’s block, he’d write one of these, a hodge-podge of unconnected observations. …It’s been a week since the Super Bowl, and I don’t miss football one bit…. …I wish there were fewer Starbucks in the city and more places that served Carvel…. …Come to think of it, I’d rather have Tom Carvel as president of the United States than Howard Schultz…. …In fact, I’d rather have Fudgie the Whale…. …I’m pretty sure there’s no place on earth as quiet as an agency at 7PM on a Friday…. …To my mind, there’s only one practical business model: make more money than you spend…. ….Roughly everything in America is 1/3 too big, including myself…. ….On Saturday, I drove through a fairly run-down section of Stamford, CT looking for a plumbing part. 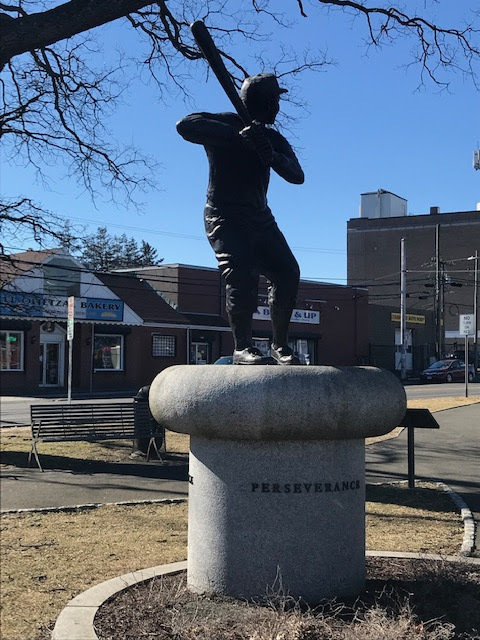 I ran across a street called Jackie Robinson Boulevard and a small park with this statue…. 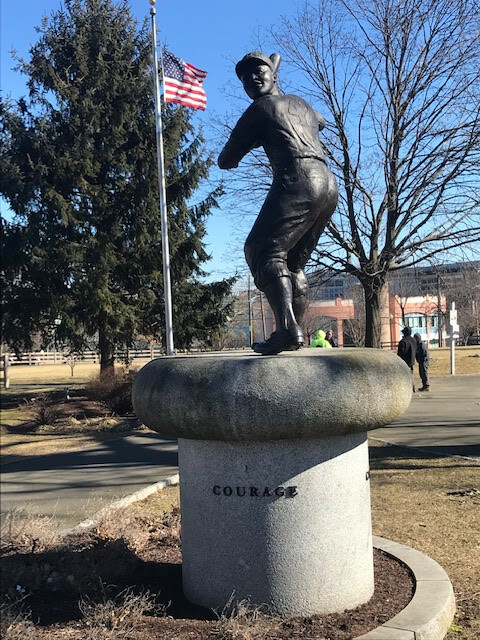 ….There was a time ballplayers (though they were never quite mortal) lived among us…. 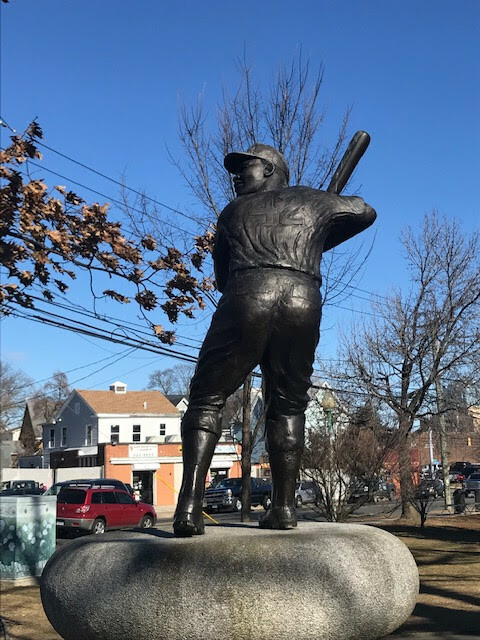 …Even someone as surpassing as Jackie Robinson who made his home on Stamford’s humble west side, before he died at the age of 53 in 1972—just 25 years after he broke baseball’s color line…. 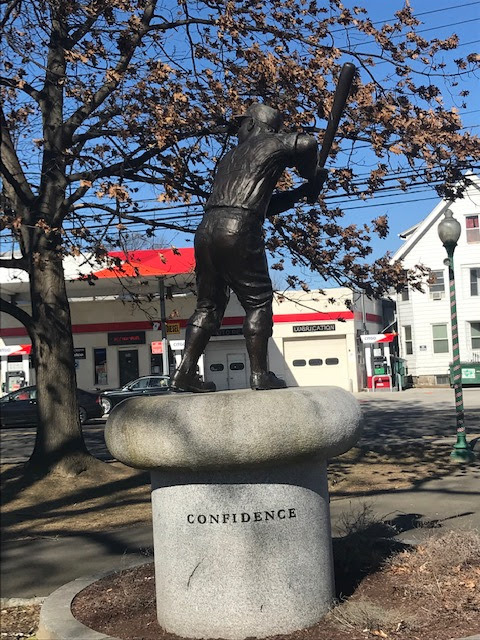 …I suppose this is a way of saying, thank goodness baseball season and hope, which springs eternal, is just six weeks away.